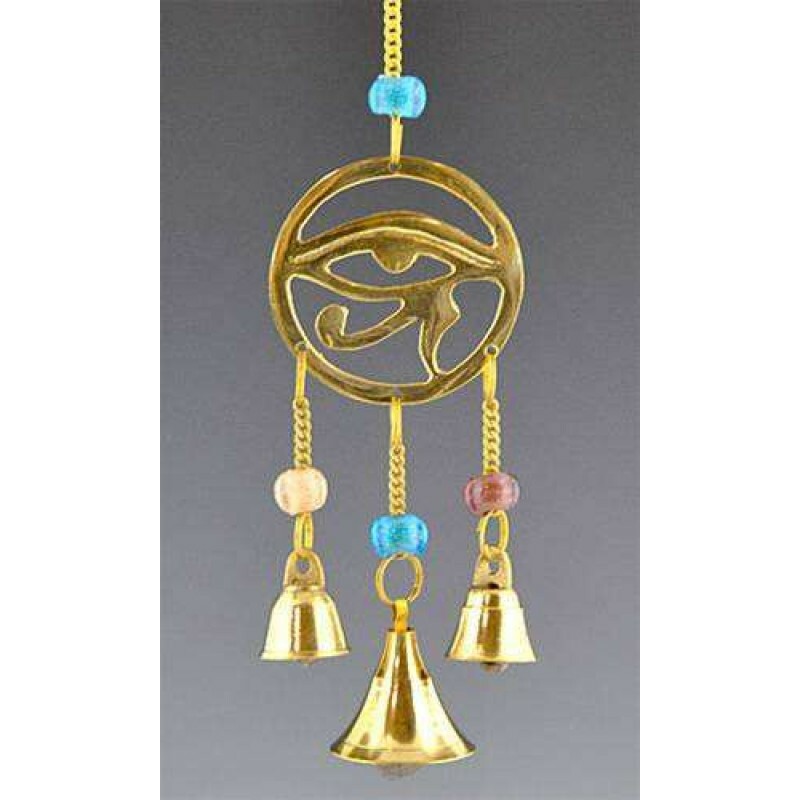 This brass Eye of Horus small chime is perfect as a protection charm. 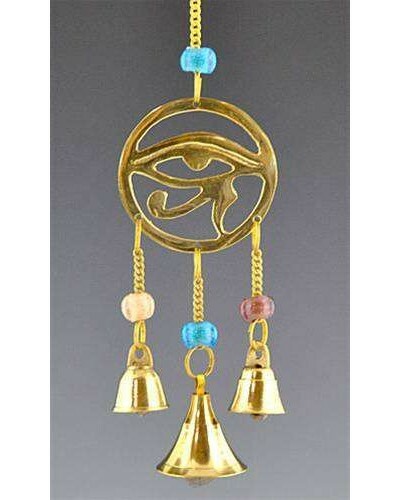 This great brass chime is 9 inches long overall with miniature brass bells and chain with glass beads. Handmade in India, bead color may vary. The centerpiece is about 2 inches in diameter. These little charms are perfect for protection spells - I have one dangling from my rear-view mirror charged to protect me and my car! 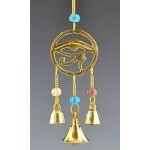 Hang in a window or doorway, as a windchime, ornament and more! Item Number: OI-CLB25 | Approximate Size (Inches): 2.00 wide x 2.00 deep x 9.00 high | Approximate Shipping Weight: 0.25 lbs.